Kathleen DeLaney has been named Chair of the Governance Committee of the Board of Directors for Eli Lilly Federal Credit Union (ELFCU). Kathleen was elected to the Board of Directors of ELFCU in June of 2011, and was the first non-Eli Lilly and Company employee to serve on the ELFCU Board of Directors. Ann DeLaney received the 2011 Distinguished Alumni Award from Harpur College, S.U.N.Y. Binghamton in Social Sciences on May 20, 2011. Ann DeLaney was featured in an article "Fab Four" by Indianapolis Woman for her work on the Indianapolis Women's Final Four Committee. Congratulations to Ann, Kathleen, and Ed DeLaney for being selected as Indiana Super Lawyers for 2011. Amanda Couture and Christopher Stake were also selected as Indiana Rising Stars for 2011 by Indiana Super Lawyers. 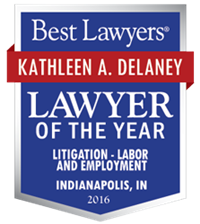 Kathleen was also selected for the Top 25 Women Indiana Super Lawyer 2011, and a Top 50 Indiana Super Lawyer 2011. DeLaney & DeLaney LLC is featured in an article in the Indiana Super Lawyer March 2011 edition, called "Family Law". 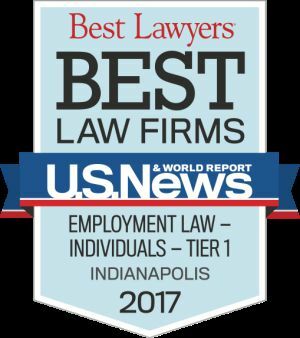 Amanda Couture has been appointed as a member of the Executive Committee of the Indianapolis Bar Association's Labor and Employment Section. 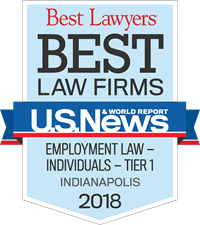 She is also serving on the planning committee for the Women, Law and Leadership Symposium, to be hosted by the Indianapolis Bar Association's Women and the Law Division.